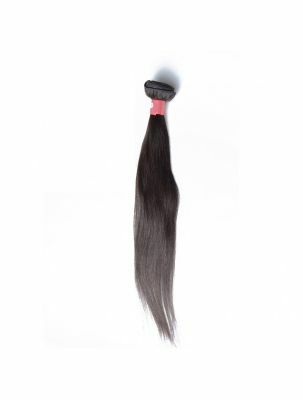 Lace Xclusive’s Virgin Indian Remy Natural Straight Hair is genuine, raw unprocessed virgin hair. Naturally straight Indian hair typically has a light wave pattern and can be flat ironed for an ultra sleek straight look. When the hair is washed and left to dry naturally, it regains its natural gentle wave pattern. This beautiful hair is extremely versatile and can be permed, dyed, flat-ironed, straightened, pressed, and curled. Like all of our virgin hair, this gorgeous authentic hair has not been mixed with synthetic hair fibers or hair from different origins. Hair is double drawn with cuticles intact to prevent tangling and shedding problems that are common in low quality non-remy hair. 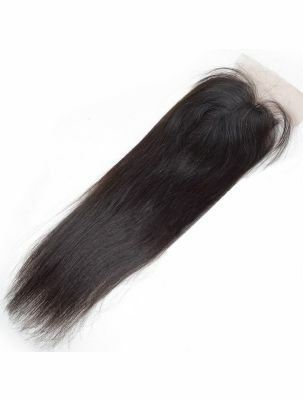 Please note: The size of the hair weft varies from bundle to bundle. 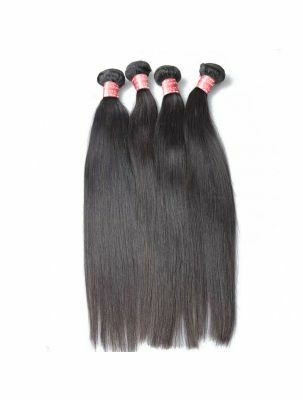 Some bundles may appear larger than others because of the density of the hair on the weft. 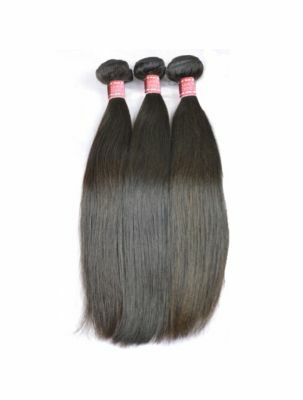 For Styling Purposes, 2 to 3 bundles are needed for a full install depending on the length of hair and volume desired. Please consult with a licensed professional stylist to determine the amount of hair necessary to achieve your desired look.